FROM STORE OVERSTOCK, NEVER USED...From Erica Michaels and her Petites Collection, the chart pack contains the 40ct Silk Gauze, full page charts with clear stitching instructions and tips. It's easy - you CAN do this! Stitched using Gentle Art Sampler Threads, Weeks Dye Works, and DMC floss. Stitch count is 110 x 110. 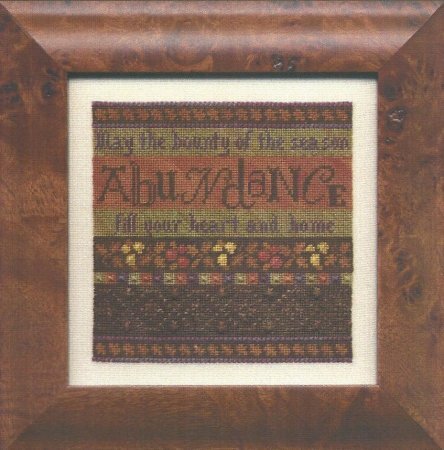 Verse reads "May the bounty of the season fill your heart and home."